As part of our title improvement program, we have rebadged our great urban fantasy title, The Sixth Precept, by Larry Ivkovich. A very good cover by Elizabeth Lang. February was a productive month with the release of a new chap-ebook, Impounded (by our prolific Australian author, Paula Boer), an impressive short story about the lifecycle of a Barrumundi fish in northern Australia. We also rereleased Blackthorns of the Forgotten by Bree T Donovan, with a breathtaking cover design by Elizabeth Lang. We have been continuing to work on The Pouakai, Sealskin Coast, and Brumbies in the Outback, and expect all of them to be published in coming months – Sealskin Coast will be the next cab off the rank. 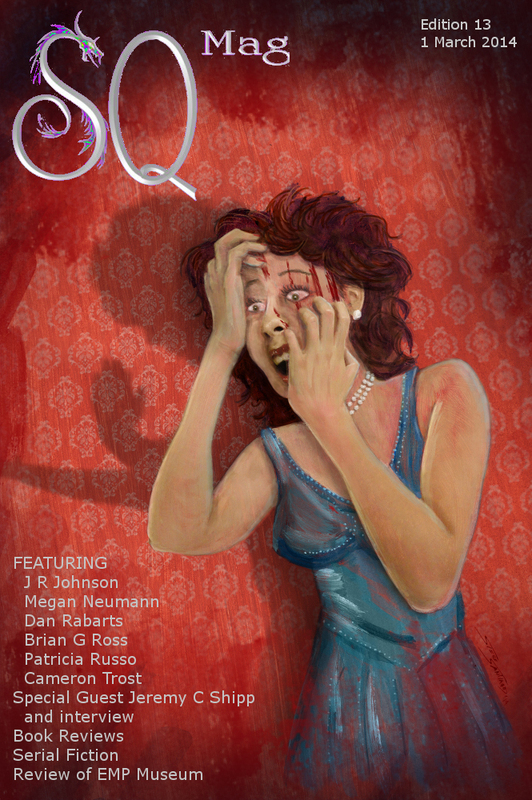 Star Quake 2 – SQ Mag’s best fiction of 2013. This is an annual anthology, and has already garnered respect within the speculative fiction community. As SQ Mag’s standards increase – which is already evident – the anthologies that follow will only be better. Buxacan Spicerunner – This title, a fantasy high seas adventure, is one of a small group that we have wanted to publish for some time, and is long overdue. We very much look forward to this excellent novel by New Jersey writer, Warren Goodwin. The Andromedans – the last of The Empire trilogy by Canadian writer, Elizabeth Lang. This series is one of IFWG’s best selling titles, and no doubt many readers are looking forward to it. Olgreenders’ Search for History – another great title by IFWG’s most prolific author, Texas author, MF Burbaugh. Two long-anticipated children’s titles: Books for Bedtime – the Adventures of Teddy and Karl, by Australian writer, Rolf Svensen, and illustrator Jeffery E Doherty, and The Adventures of Ursus the Bear, by English writer, Jack Eason (illustrated by New Zealand artist, Frances Hutt). We will also be reissuing two titles from our US operations to the Australian/UK operations, a more appropriate fit: Against The Elements, by English writer Esme Carpenter, and A Magpie Called Will, by Western Australian, Peter Rondel. This is a large list, but we are looking very much forward to adding significant value to our catalogues. The rain has finally ceased here in the UK and the first signs of spring are, well, springing. I’m very excited about the UK English re-release titles (including my own) later this year – until then, there’s plenty to keep you ticking over.